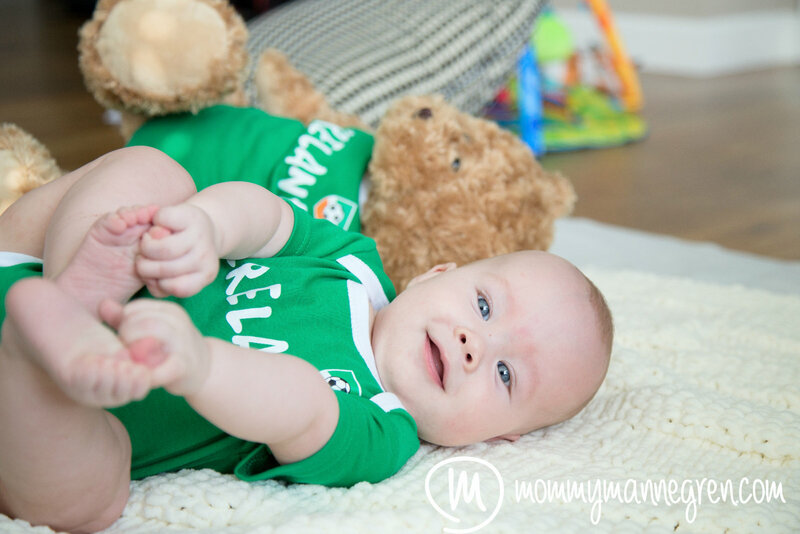 Last summer, while pregnant with the boys, we received a package from Ireland containing these adorable, little football onesies. (Thanks, Auntie Daleena!) 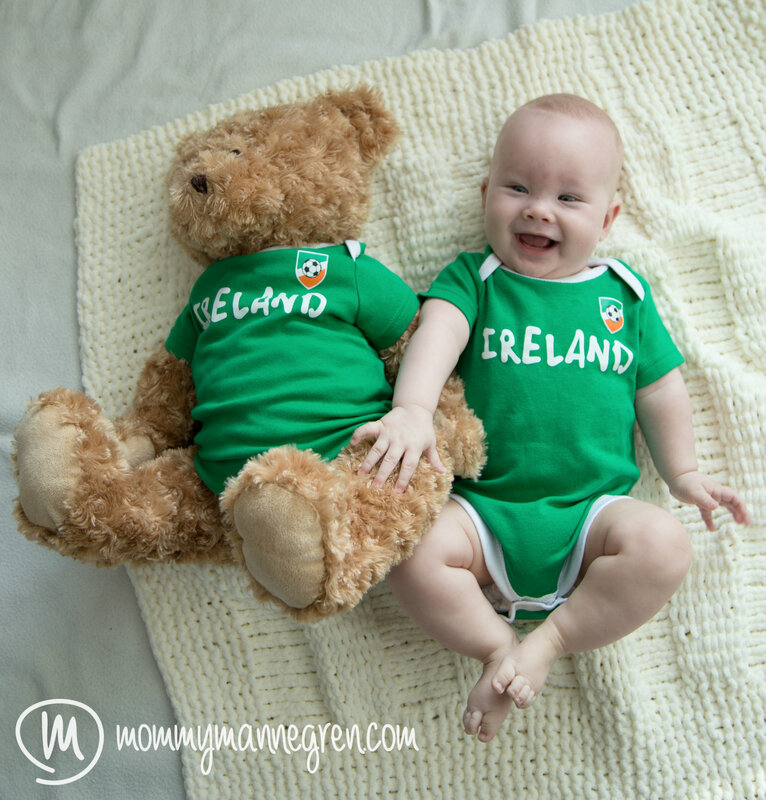 We don’t normally celebrate St. Patrick’s Day but these Irish onesies were just too cute to miss out on a photo op! Since Landon isn’t here to wear his, we dressed up the teddy bear that we were given at his funeral. I think he would have gotten a good giggle out of that. Alistair seemed to think it was pretty funny too. 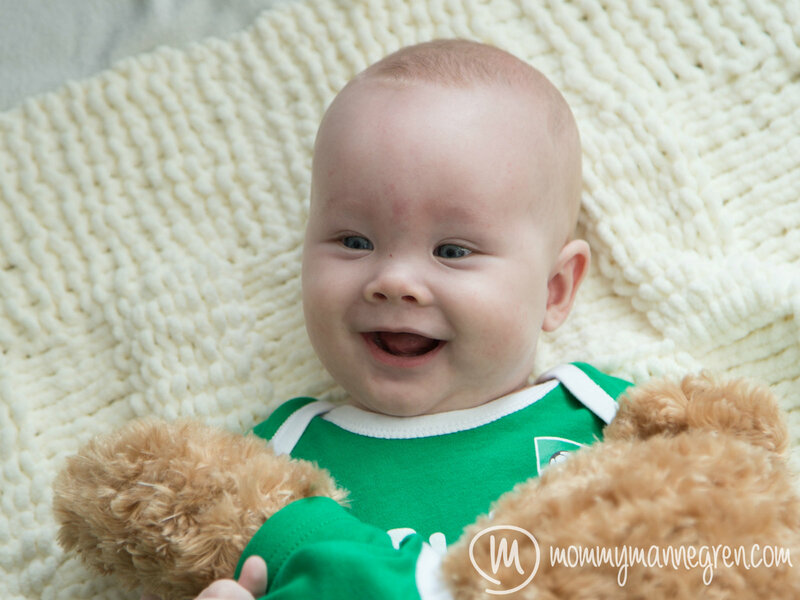 Happy St. Patrick’s Day from our little leprechaun!